He served as the doctor for Presidents George W. Bush and Barack Obama too. The note from President Donald Trump's current doctor may be less effusive than the one from his last. During the 2016 presidential campaign, then-candidate Trump had longtime physician Dr. Harold Bornstein release a letter in which he wrote that Trump "unequivocally, will be the healthiest individual ever elected to the presidency." Bornstein became something of a viral sensation after the rapturous report. What the presidential physician who is treating Trump now may lack in colorful comments, he makes up for with a stacked resume. Dr. Ronny Jackson, the presidential physician, is a rear admiral in the Navy and examined Trump last week at Walter Reed National Military Medical Center. He attendedd Texas A&M University at Galveston for his undergraduate studies, majoring in Marine Biology, before going to medical school at the University of Texas Medical Branch, according to his naval biography. He has served in Virginia, Connecticut and Florida and was also assigned to work with an explosive disposal unit in Italy, as well as a platoon in Iraq. Jackson currently lives in Silver Spring, Maryland, with his wife and three children, according to a biography page posted by Harvard University which ran a fellowship in disaster medicine with which he was involved. When he was in Iraq in 2006, while serving as the physician in charge of resuscitative medicine for a deployed platoon, Jackson was chosen as the White House physician. 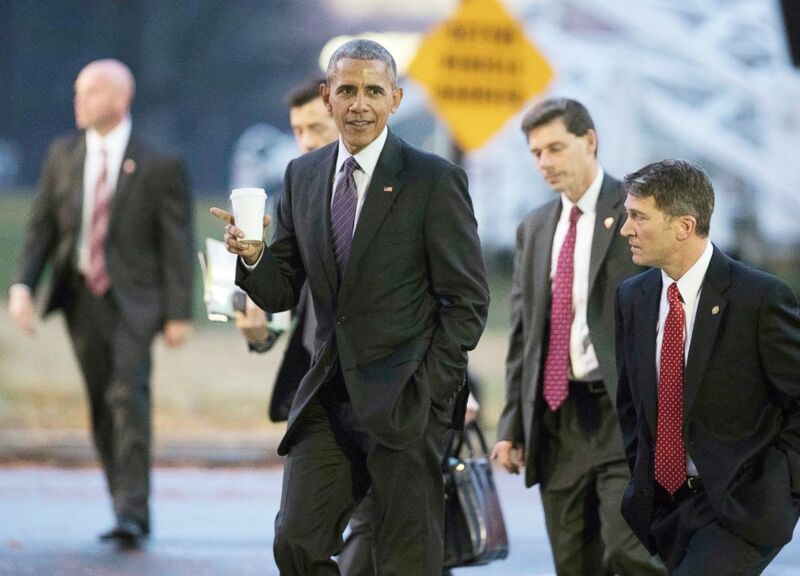 (Manuel Balce Ceneta/AP FILE) President Barack Obama walks with his physician Ronny Jackson, right, towards a waiting Marine One as he leaves Walter Reed National Military Medical Center in Bethesda, Md., after visiting wounded service members,, Nov. 29, 2016. His tenure started during the administration of then-President George W. Bush, who he examined. He also gave physicals to President Barack Obama and will now examine President Donald Trump. Jackson's last examination of Obama came in February 2016, when he wrote a two-page memo to then-White House press secretary Josh Earnest, which was released by the White House. The memo noted that it was the fourth exam that Jackson had performed on Obama and included details like his age, weight, height, body mass index, resting heart rate, a heart exam, gastrointestinal status and cholesterol rate. It also noted his social history, commenting on his "healthy lifestyle choices" including "healthy diet" and daily exercise.